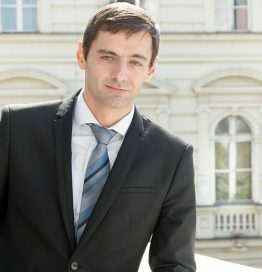 Branislav started working at the Tourist Organization of Novi Sad in 2012, in the beginning as Assistant Director for project coordination in the area of promotion and improvement of the tourist offer. In 2013. he was elected as Director of the same organization. He graduated at Faculty of Technical Sciences in Novi Sad, where he received his first Masters Degree in 2009 and second in 2016. Next to his position as the Director at Tourist Organization of Novi Sad, he is an active member of organisation board of numerous events which also make Novi Sad a popular tourist destination. In addition, Branislav is member of the organizing committee of the Belgrade Tourism Fair and Vice President of the Tourism Council of the City of Novi Sad.